Factory Design Pattern is one of the Creational Design pattern and it’s widely used in JDK as well as frameworks like Spring MVC and Struts. The factory method pattern is an object-oriented creational design pattern to implement the concept of factories and deals with the problem of creating objects (products) without specifying the exact class of object that will be created. The essence of this pattern is to “Define an interface for creating an object, but let the classes that implement the interface decide which class to instantiate. The Factory method lets a class defer instantiation to subclasses“. 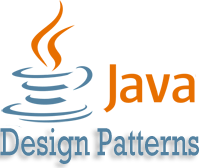 Let’s first learn how to implement factory pattern in java. We will create 5 classes to implement this pattern. Notice that the class is extending CrunchfiyCompany class. Now that we have super classes and sub-classes ready, we can write our factory class. We can keep Factory class Singleton or we can keep the method that returns the subclass a static. Simple Test client program that uses above factory pattern implementation. // with overridden toString() method for testing purpose. // Notice that the class is extending CrunchfiyCompany class. // Now that we have super classes and sub-classes ready, we can write our factory class. // We can keep Factory class Singleton or we can keep the method that return the subclass a static. // Notice that based on the input parameter, different subclass is created and returned. // Simple Test client program that uses above factory pattern implementation. Other Examples using Factory Pattern? It is used when we have a super class with multiple sub-classes and based on input, we need to return one of the sub-class. This pattern take out the responsibility of instantiation of a class from client program to the factory class. The factory has to be used for a family of objects. If the classes doesn’t extend common base class or interface they can not be used in a factory design template. List of all Java Web Development, Spring MVC tutorials.